Aviation Updates Philippines - The Philippines' leading airline, Cebu Pacific expands its route network at the Clark International Airport, boosting frequency by 75% by end-2018. On top of two new domestic routes from Clark, Cebu Pacific will also increase frequency of its flights between Clark and Macau from eight times weekly to 14 times a week. INCREASED FREQUENCIES. Cebu Pacific is ramping up its Clark operations to better serve the Northern Luzon market in a bid to decongest the aging Manila airport. Photo by Dirk Salcedo - PPSG/AUP. Cebu Pacific will now fly once daily from Clark to Macau at 925pm, with the return flight departing from the Macau International Airport at 1215am the following day. The carrier had earlier announced it would also add an additional daily flight between Clark and Cebu starting October 28, 2018; on top of two new routes—between its Clark and Davao hubs; as well as between Clark and Tagbilaran, Bohol, starting November 9, 2018. The new routes and additional frequencies will bring the total number of Cebu Pacific flights in and out of Clark to 3,711 by end-2018, representing 620,540 seats. Cebu Pacific also mounts direct flights from Clark to Singapore and Hong Kong; and will resume direct flights to Caticlan (Boracay) by October 28. "We are excited over the opportunities that our Clark hub presents and are looking forward to serving travelers from North and Central Luzon over the coming months. We are committed to being a partner in the over-all economic development of the Clark area through the expansion of our route network," said Atty JR Mantaring, Vice President for Corporate Affairs of Cebu Pacific. Cebu Pacific has been operating flights in and out of the Clark International Airport since 2006, with the latter serving as its hub for North and Central Luzon. 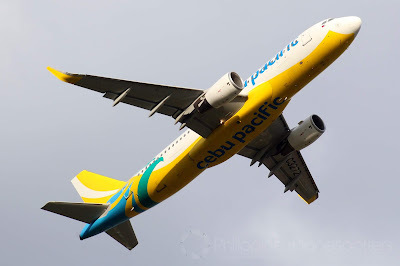 Aside from its Clark, Cebu Pacific operates flights out of five other strategically placed hubs in the Philippines: Manila, Kalibo, Iloilo, Cebu, Davao and Cagayan de Oro (Laguindingan). The carrier has maintained leadership in the domestic market with 37 destinations, 76 routes and over 2,130 weekly flights. As of end-June 2018, Cebu Pacific flew 7.6 million passengers, comprising 73% of the 10.4 million passengers flown from January to June 2018.